Google published a blog post today in which it details the first fruits of a pilot program launched last year to reimagine digital advertising for the mobile app age. This year, Google says it’s broadening the scope of that effort with the new Art, Copy & Code project, which is described as a series of experiments combining creative pros, ad agencies and brands to see how branded advertising might also become useful tools for consumers. The ‘adverapp’ (see what I did there?) Google has created to kick off this project is called “Smileage,” and it’s a Volkswagen-branded Android app. It incorporates themes from Volkswagen’s 2012 advertising campaign, and acts as a trip journal that measures things like weather, traffic, location, distance, social interaction and more to create an automatic, live interactive map of your road trip. 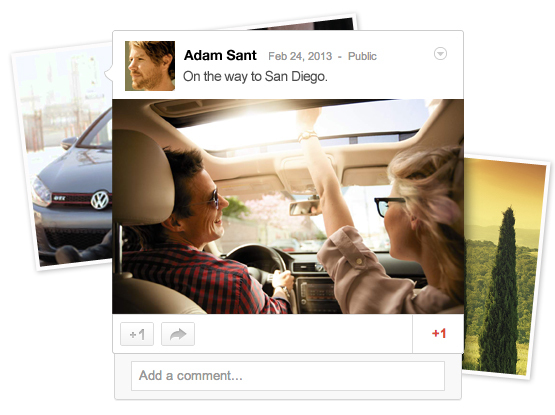 The app is powered by Google+’s new sign-in capabilities, and can aggregate photos and videos taken by you and your fellow road-trippers to add them to map. Smileage works with any car, not just VWs. Apps like HipGeo already do similar things, but this does look to add some unique functionality via the ability to use input from multiple participants, and the Google+ integration. It actually looks like it could be a fun app to use, in fact, and that appears to be the entire point of this new Art, Copy & Code project. Mobile advertising is an entirely different beast from desktop web ads and worlds away from traditional print/video media marketing. Google has been described as having a “mobile advertising problem” because of the the low quality of clicks coming from mobile relative to the desktop. In order to get around that, it has to innovate and create experiences mobile users are more likely to engage with. Something like Smileage might just do the trick. It’s part service content, part tool and part advertising, in a standalone destination. The point is to create something that users will want to go to independently – Volkswagen is building a desirable product in order to help make its other products more desirable, instead of simply trying to highlight its cars through ads that offer no actual value to mobile users. Smileage is launching soon, and accepting beta sign-ups now. Seem familiar? It’s how startups often generate hype for their own upcoming products. Is this the future of mobile advertising? At this point it’s just an early-stage experiment, but if it works out it very well could be.